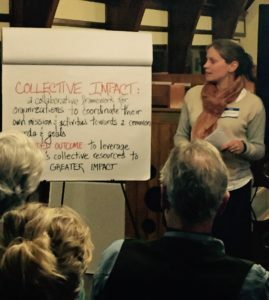 In 2011 Sustainable Woodstock helped launch an initiative to foster collaboration among the many nonprofit organizations in the Woodstock area. Through regular monthly meetings and outreach, this network allows its members to coordinate efforts and work together toward common goals for the good of the community. Any area nonprofit is welcome to join the group. To get involved or find out more, contact Sally Miller (smiller@townofwoodstock.org) or call (802) 299-7806. 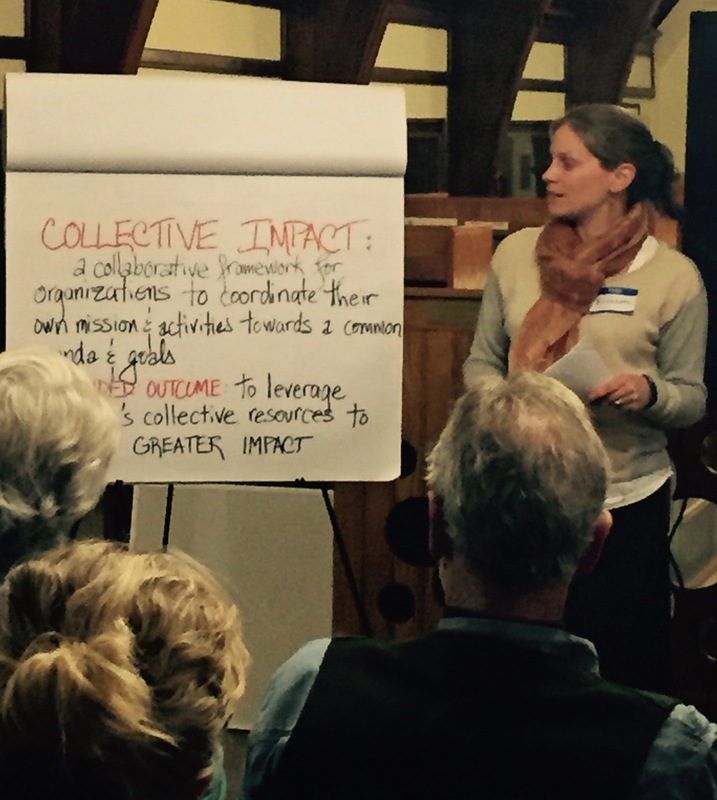 Sustainable Woodstock participated in this important regional planning initiative. Two Rivers-Ottauquechee Regional Commission was awarded a $540,000 federal grant to develop an East Central Vermont Regional Plan for Sustainable Development for a 40-town region. The plan that resulted coordinates the disparate planning programs of the towns and their regional planning organizations. It addresses housing, transportation, public utilities, natural resources and energy use in ways that bend the impacts of development toward a region that uses less energy, is more healthy and walkable, is more affordable and creates increased economic opportunity. Read the entire plan here. Our weekly column in The Vermont Standard serves an important informational role, keeping the community informed of our own activities and other sustainability-oriented events, and discussing relevant global, national, and regional issues. Guest columns are also encouraged. For more information contact Ron Miller. We sponsor an annual film series, and a Farmers’ Night film and networking event. Sustainable Woodstock has joined an ad hoc group of local residents, business owners, professionals and nonprofits which is discussing the issue of accessibility for differently abled people in the Village of Woodstock. The group sees the need for a master plan to address accessibility within the community as well as establish priorities, clarify rules, identify the tools and resources to get it done, get a sense of the economic benefits, and effectively educate whole community (businesses and residents) on the issues and the process. Following the devastating damage done by tropical storm Irene in August 2011, Sustainable Woodstock was proud to have stepped up to take on the task of administering the Woodstock Area Flood Relief Fund, coordinating both the solicitation of funds and the grant distribution process. Through the generosity of many hundreds of individuals and organizations both inside and outside the community, the fund raised $425,000 and provided significant flood recovery help to more than 125 families in Barnard, Bridgewater, Killington, Pomfret, Reading and Woodstock. The effort would not have possible without the many volunteers who coordinated the effort to raise funds, set up procedures, prepare and process applications, and meet, advise, and follow up with all the applicants. While we are unable to name all the people who contributed to making the fund such a success, we would like to acknowledge the particular contributions of Joanne Boyle, Jim Bryant, Laurie Chester, Alison Clarkson, Candace Coburn, Moe Garmon, Kandy Gray, Sam Harvey, Ken Howe, Charlie Kimbell, Daniel Jantos, Susan Kelley-Outten, Denise Lyons, Ron Miller, Sally Miller, Meg Seely, Laurel and Rick Tobiason, Vickie Brooks, Judy Williamson, and Liza Wilson.